As Miller tours the country preparing for his new special, you can hear Dennis ranting on his twice weekly podcast “The Dennis Miller Option” (PodcastOne!) or his twice daily syndicated, 60-second radio feature “The Miller Minute.” He was recently featured as a lead ranking comedian by the Hollywood Reporter via social media analytics. 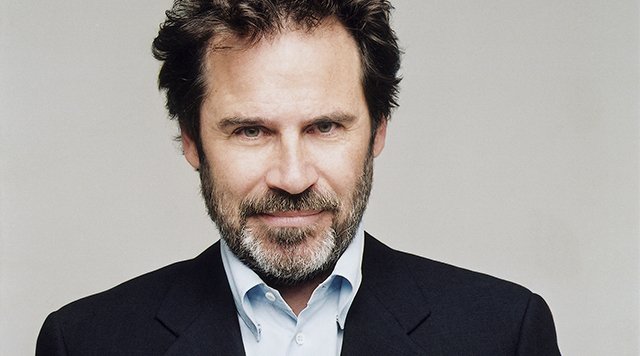 Miller is a five-time Emmy award winner for his critically acclaimed half-hour, live talk show “Dennis Miller Live” which had a nine-year run on HBO. Miller also garnered three Writer’s Guild of America Awards for the series as well as an additional WGA Award for his 1997 HBO special, “Dennis Miller: Citizen Arcane.” He also wrote and starred in the Emmy-nominated cable comedy special “Raw Feed.” That show, along with the six other standup specials he did for HBO from 1988-2006, are featured in the DVD Box Set, “Dennis Miller: The HBO Specials.” This was followed by Dennis’ eighth special for HBO “Dennis Miller: The Big Speech” in 2010. His most recent stand up special, “Fake News, Real Jokes,” released by Comedy Dynamics in November 2018 is now available on Amazon Prime.